We are FSC® certified since 2005 and thus ensure that the wood for our handles does not come from the exploitation of nature, but is produced in a responsible and sustainable environmental friendly way. From this globally recognized eco-label benefit not only the forests, but also our customers – we are happy to advise you! 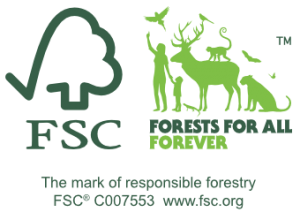 For more information about FSC® please refer to the website of the Forest Stewardship Council®.